Hari Bansha Acharya is a Nepalese actor and a comedian. He is one of the most successful and respected comedians in the Nepalese entertainment industry. He is known for his method acting. Hari Bansha Acharya is also a writer by profession. He has written several books based on social sectors, which were awarded various national prizes. China Harayeko Manxe is his masterpiece, and is one of the best selling books of Nepal. Hari Bansha Acharya's father’s name is Homanjaya Acharya and his mother’s name is Ganesh Kumari. Born on 27th Kartik 2014 BS (13 November 1958) in Gairidhara, Kathmandu, Hari Bansha Acharya married Meera Acharya in 2040 BS. He has two sons, Trilok Acharya and Mohit Acharya. Hari Bansha's wife Meera Acharya died from a stroke on April 20, 2011. She was suffering from heart disease. 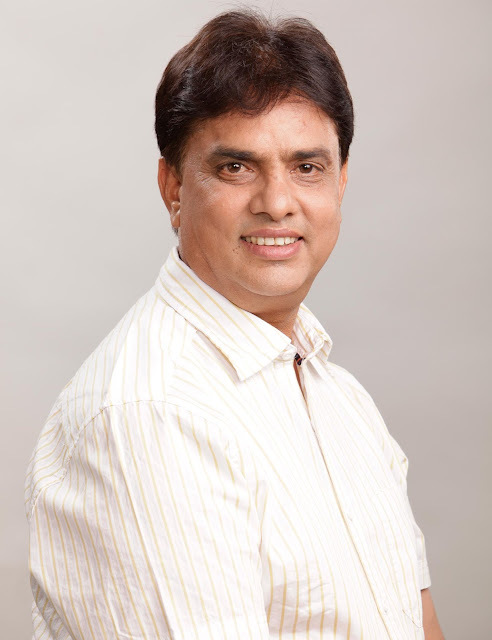 Hari Bansha Acharya started his career by performing with Hari Prasad Rimal and Jitendra Mahat Avilashi in 2031 BS on Radio Nepal, then the only radio station in Nepal. In 2032, Hari Bansha Acharya joined Rastriya Naach Ghar. He had participated in Gaijatra Mahotsav in 2034 BS that upsurged his fame. Before performing with Madan Krishna Shrestha and becoming a part of the MAHA Jodi, he had struggled in the entertainment field alone for 6 years. Hari Bansha Acharya has also played in films. Lovipapi, Filim, Rajamati, Silu, Balidaan, Je Bho Ramrai bho, and Tan ta sarhai bigrish ni badri are some of his popular films that were immensely popular in the Nepali film industry. Some of his remarkable comedy series like Lal Purja, Pandra Gatay, Bhakunde Bhoot, Series of Hari Bahadur and Madan Bahadur, 50/50, and Dashain ko Chyangra, will be cherished by Nepalese even after many years.